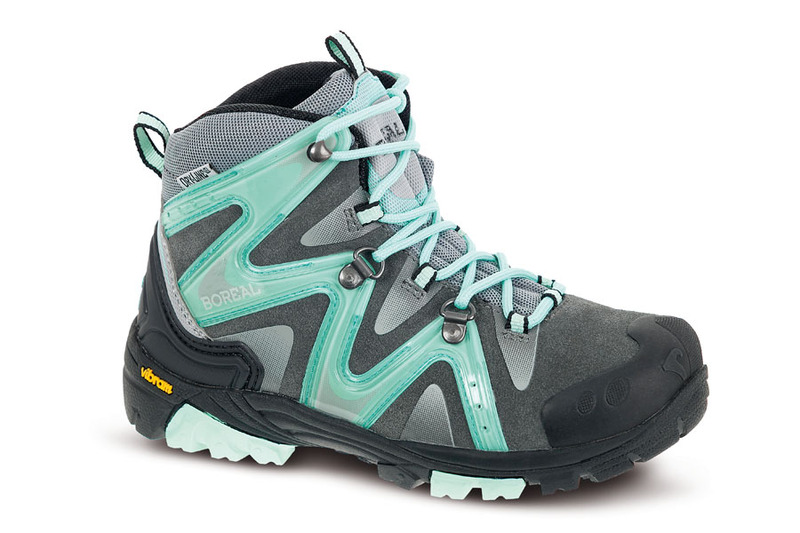 Aspen is a fully featured high quality walking boot designed for little feet. Just like our adult boots Aspen is manufactured with top grade materials to cope with rough terrain and bad weather. Perfect for anything from hiking in the holidays, to the winter school run. The upper is made from a mix of natural split leather and lightweight synthetic textile and has a rubber toe cap for durability. The brightly coloured TPU side pieces not only lend a distinctive design but also help to cradle the foot securely and our Dry-Line FLS lining is waterproof and breathable for dry feet in any weather. A quality Vibram outsole guarantees durability and has great grip and a full length midsole provides underfoot protection on rough terrain. Grab a pair, lace them up and go and have an adventure! Nevada Aspen is a fully featured high quality walking boot designed for little feet. Just like our adult boots Nevada is manufactured with top grade materials to cope with rough terrain and bad weather. Perfect for anything from hiking in the holidays, to the winter school run.